The 2019 instalment of DOMOTEX will run under the banner of “CREATE’N’CONNECT”, a keynote theme that puts the spotlight on innovative flooring industry developments and ideas inspired by today’s connectivity megatrend. Architects and designers across the globe are using this theme, which is inspired by digital change and advanced technology, to create lifestyle-oriented rooms where floor designs become the connecting element of an overall interior design. Canadian Studio Munge, the Chicago Design Network and Snøhetta from Norway are some of the design and architecture firms creating trendsetting room presentations. Their projects provide a vibrant illustration of the lead theme, CREATE’N’CONNECT. 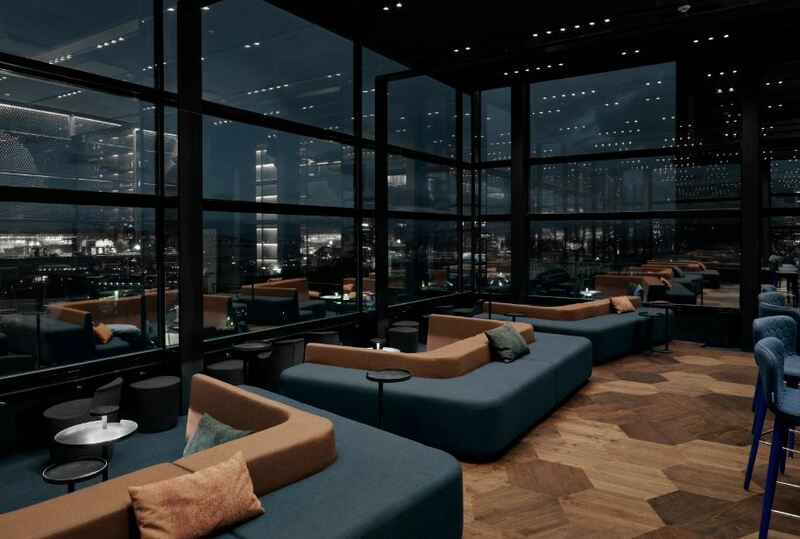 To redesign the Summit Bar on the 21st floor of the Radisson Blu Scandinavia Hotel in Oslo, Norwegian architectural firm Snøhetta used hexagonal parquet elements from Townfield Flooring. The colour of the natural, vividly grained American Walnut wood blends harmoniously with the shades and materials of the couches and cushions in the floor-hugging seating landscape. The floor is raised to offer the best possible view of the city from the window façade. 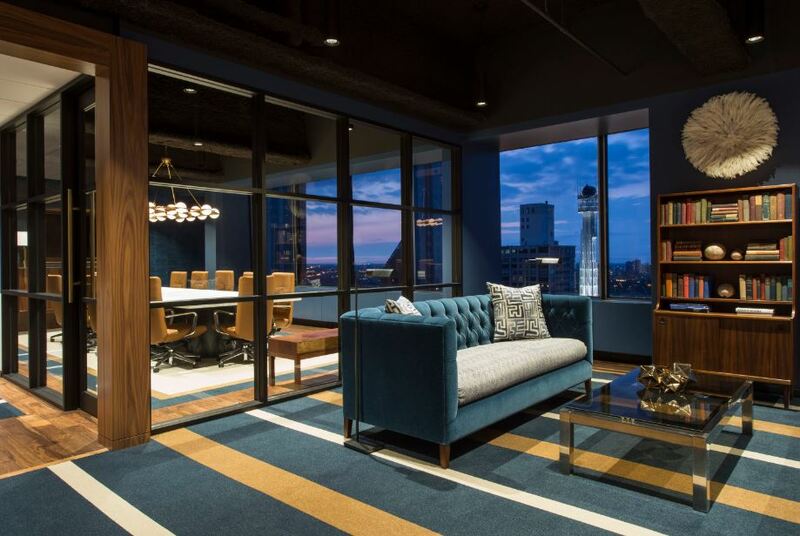 Fletco carpet tiles were used to create zones and connect zones at the headquarters of HEARN, the well-known Chicago-based real estate company. 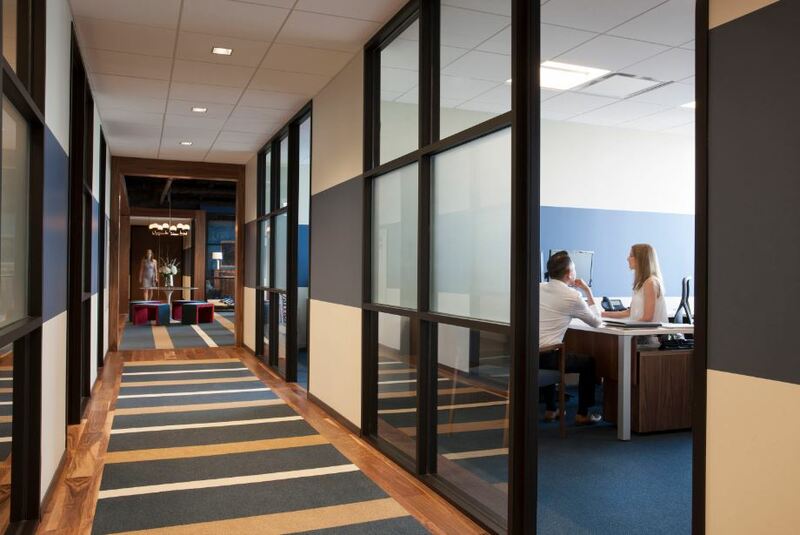 Chicago Design Network’s idea was to design a prestigious and contemporary workplace which would adequately reflect the building’s world-class status. Together with interior designer, Alessandra Branca, they chose the Zenith carpet from Fletco. This carpet combines a bold look with durability and quality. In the headquarters’ cosy lounge, the broad striped carpet with its grey, ochre and beige colours visually ties into the textile surfaces of the bar stools and upholstered furniture. Canada’s Studio Munge recently furnished the lobby of the newly reopened Anndore House boutique hotel in downtown Toronto, which has an interior design characterised by Art Déco stylistic elements. To form a unified creative whole, the design team chose rugged, handmade carpets consisting of 100% New Zealand Wall that corresponds to the furnishing and wall design. A harmonious colour gradient and attractive carpet texture were created for the project. An octagonal carpet surrounds the reception table that is centrally located in the lobby. A second leads visually and functionally from the elevator vestibule to the lobby bar. 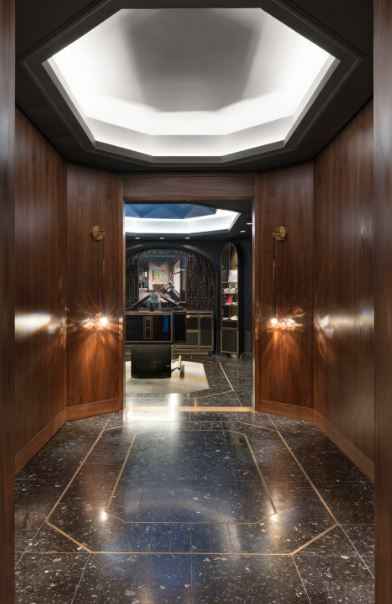 The carpets are inlaid into the dark terrazzo floor and “tie the entrance’s bold forms into a single holistic statement,” says Alessandro Munge, founder of Studio Munge. Interior projects like these demonstrate the importance of flooring within the context of holistic concepts in which materials, textures and colours are all connected.